Cleveland Cavaliers forward LeBron James, has not yet decided whether to participate in the Olympic Games in Rio de Janeiro to be held in August. The player will wait for the end of the season to confirm his presence in the roster in what will be the last international engagement with Mike Krzyzewski as coach of the US team. LeBron appealed for restraint as he still does not not know if he will make it to the second cut, which will reduce the number from 31 to 12 players, and not knowing if he will decide to have another summer without rest. The two-time NBA champion has participated in every Game since the Athens Olympics in 2004. In Greece Team USA took the bronze medal and the first time in which Americans did not reach the gold medal since they began sending professional players in 1992, James himself sparked controversy after some reviews that said that according to his perception, deserved to have had more minutes to play. He reached 14 per game and criticism did not wait. Four years later, LeBron received a warning by Coach K and the director of operations of the national team, Jerry Colangelo. His attitude was not proper during the World Cup Japan 2006, which also failed to get pass the bronze once again. 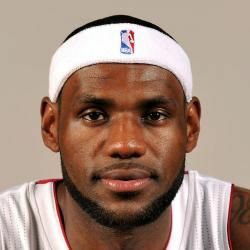 With a commitment to change his behavior, LeBron participated in Beijing 2008 and London 2012, where in the final stages the team got rid of the selection from Spain. In recent years, the Cavs forward decided to represent their selection only in the Olympic Games. He did not participate in the 2010 World Cup in Turkey, nor in that of Spain in 2014 and the opportunity to qualify for the third Olympic gold medal of his career is still uncertain. Along with LeBron, only two men’s basketball players have been able to win the title twice: Carmelo Anthony (2004-2012) and the former player of the San Antonio Spurs, David Robinson (1988-1996). The only female basketball player who has managed to overcome this feat is Teresa Edwards (1984-2000), with four gold medals and one bronze. Currently, the preselection for Team USA has 31 players, a figure that will be reduced to 12 after the conclusion of the NBA Finals. If he reaches the last series before the ring, LeBron would have participated in the last six finals, of which the player has won two rings out of five disputed. As of July 17, Team USA will focus on Las Vegas for a week, where they will play the first friendly match. Then they will travel to Los Angeles, San Francisco, Chicago and Houston, where they will end their warm-up matches before traveling to Rio.